The “SE-02 Midi Editor” is the controller for the Roland Boutique Synth SE-02. It is perfect to integrate the SE-02 into your DAW. It makes it easier to adjust the sound accurately, which is difficult with the small knobs. 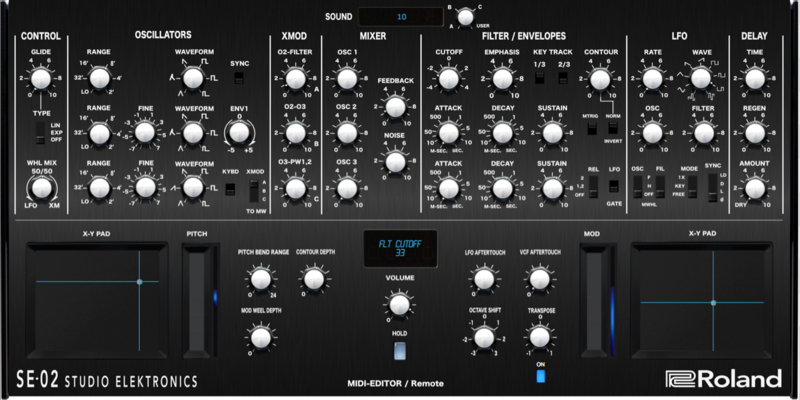 The Editor gives you access to the controller on the SE-02 interface, and also direct access to hidden parameters. The „SE-02“ parameters can be automated, they can be stored in your Project. You can safe your sound on the SE-02 Synth or as VST Presets (..fxp) in the DAW. The “SE-02 Midi Editor” version 1.0 doesn’t work properly with the SE-02 Update 1.11!! Is there any fix available?